Seventy years ago today the most costly war in human history came to an end in Europe. Every year since 1945, people the world over have celebrated the 8th of May—Victory in Europe Day—and have honoured the ones who lived through those times and who, in so many cases, gave their lives. Seventy years later, on this year’s 8th of May, the memories remain alive in those who were there and in their descendants. 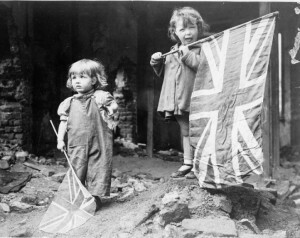 This entry was posted in Vignette and tagged 8 May, VE Day, Victory in Europe Day. Bookmark the permalink.